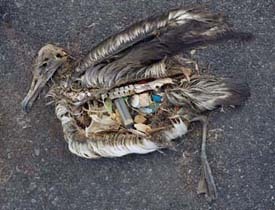 I believe Chris Jordan when he says these scenes of dead Albatross chicks with their bellies full of plastic bottle tops and other such items were photographed faithfully. Nothing added either at the time or manipulated after the fact. Yet I still find it hard to believe that thousands of miles from anywhere these poor creatures have starved to death, their parents mistaking brightly coloured plastic refuse for food. But here we are provided with the disturbing truth that our throw away society really can impact upon everyone and everything no matter how far away you may be. 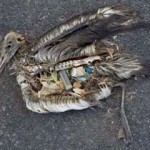 Midway – Message from the Gyre by Chris Jordan.